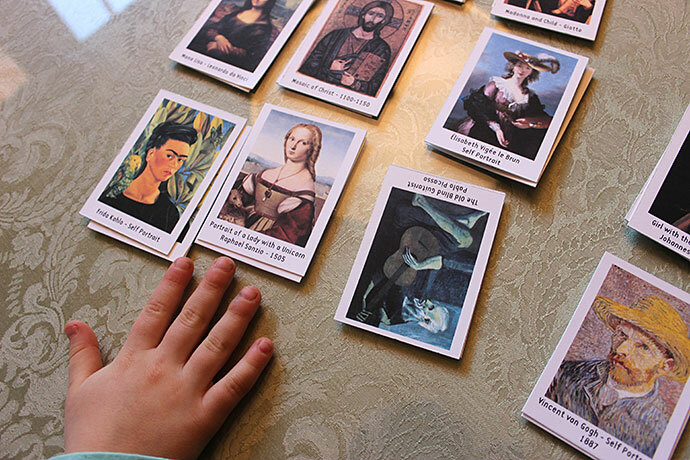 Here is a FREE Art history game printable pack. The game features 15 famous works of art by masters such as Raphael Sanzio, Henri Matisse, Piero della Francesca and Frida Kahlo. The images are mostly comprised of Western art, with Indian and African art represented as well.